You started your business to gain freedom and flexibility, but feel more chained to your desk than ever. You’re stuck in your inbox answering the same basic questions over and over, spending more time there than actually working on projects that light you up. And to make matters worse, you keep getting inquiries from clients who aren’t a good fit. It’s gotten to the point where you feel an embarrassing sense of website shame when handing out business cards to potential clients that are a good fit… because you’re painfully aware of how little your website reflects the true heart of your brand. Maybe you DIY’d your site or invested in small branding projects here and there, and it’s resulted in a visual story that’s far from cohesive. You don’t know how to create consistency across your site and social media platforms, and you just need help. Babe, I’ve got some good news and bad news for you. Your website is letting you down. But you knew that already. Hi, I’m Shaina, your partner in branding and strategic web design! I help visionary female entrepreneurs (just like you!) 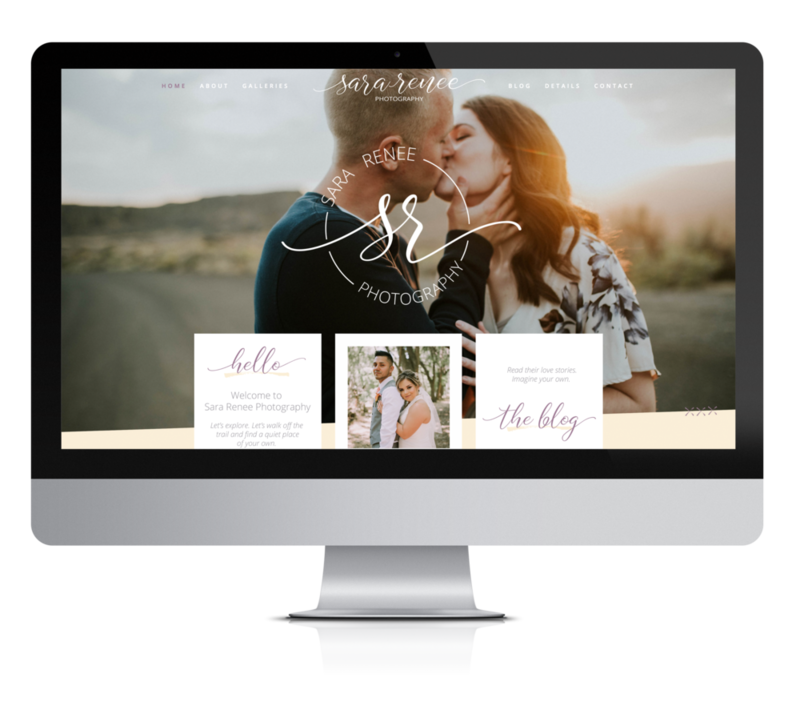 make connections that matter, one visual at a time, with beautiful brands and Squarespace website design. If you’re ready to clarify your brand’s visual story and get your freedom back, I’d love to be your guide. Together we’ll create an online home base for your business that works 24/7 to help you make the connections that matter, share your offerings clearly and concisely, book highly-targeted clients, and scale your business so you can enjoy a meaningful life rich with JOY (you know, the whole reason you started your biz in the first place)! And once your brand is in place, we’ll make your new website happen in JUST SEVEN DAYS. Day 1 | Expect an email from me to celebrate the start of your project. All of your homework, website content, and images are due today and I'll take the branding we've designed together and dive right into designing the mockup of your website! Day 2 | I’ll provide a PDF mockup of each web page by end of day so you can see how your redesign is coming together. I’ll need your stamp of approval. Day 3 | Once I have approval, I begin building your site in Squarespace using the mockups as our guide. While I’m bringing the vision to life, you’ll sit back and relax. Day 4 | We’ll jump on a call and I’ll show you a virtual tour of how your website is coming together. You’ll take notes for changes and revisions, and then take the night to sleep on it. Day 5 | When you feel confident in your notes, you’ll submit any revision requests to me and I’ll start making those changes. Day 6 | After I’ve made your revisions, you’ll receive an email with a link to view your live, unpublished site. I’ll deliver this by end of day. Day 7 | You give your final approval, we’ll make sure all links and URLs are correct, we’ll take your site LIVE, and I’ll transfer ownership to you. Need some hand-holding? I’m here for you, babe. Clients get 1-on-1 support from me for the duration of their project and 3 months afterwards to make sure everything is working perfectly! Imagine if your website reflected your heart and the quality of your work, and attracted your ideal clients like CRAZY! Imagine handing dozens of business cards out as soon as you launch, because the website shame you once carried is GONE! Imagine if every time you visited your website, it felt like COMING HOME! With Website in a Week, that’s exactly what you’ll get! You are so new to business that you haven’t nailed down your brand basics (you don’t know who your dream client is, what their preferences are, or how you want to serve them) - I’d love to chat in the future when you’re ready! You provide your own web copy + photography. Not quite ready for website design? Looking for more? This package includes custom copywriting and photography too! + How long will this really take? I book project start dates one month in advance. Before our project starts, we’ll meet for our 30 minute brand consultation call so we’re both on the same page when it comes to your brand, your ideal client, your offerings, and what you need from your website. Then you’ll start filling out your branding homework. All your tasks and due dates will be organized in Asana (my favorite project management tool) where we can work collaboratively to get all the details together that you’ll need for your new site. Expect this to take up to 2 weeks - longer if you need to hire out for brand photography and copywriting or create this content yourself. Your final homework due date kicks off the beginning of the 7-day website design portion of the project. A PDF mock-up of each page will be supplied by end of day on Day 2 for your approval. Pages will be implemented Day 3 and on Day 4 we’ll jump on a call for a live walk-through via Zoom chat. Your edits will be submitted to me on Day 5 with my edits given back for your review on Day 6, final approval and ownership transfer on Day 7, and website LAUNCH on day 8. + What are the deliverables I get to keep? You’ll get to keep your moodboard, brand style guide (with fonts, patterns, colors and all logos), and brand collateral, and I’ll transfer website ownership over to you once the project is complete. All design files will be packaged up digitally for you and transferred via Dropbox or Google Drive - whichever works best for you. + Do I have to pay you AND Squarespace? Yes. Squarespace is your website host, and you must purchase a subscription with them for your site to go live and stay up online. You can choose to pay monthly or annually, and this is a separate charge from your design fee. Because I am a Squarespace Circle member, I can get you a 20% discount on your first year if you are using Squarespace for the first time and I am the one who sets up the site (you must select the annual plan). You are not eligible for the discount if we’re editing a Squarespace site you currently own. Feel free to contact me and I'd be happy to help! Isn’t it time your website reflected the true heart of your brand? 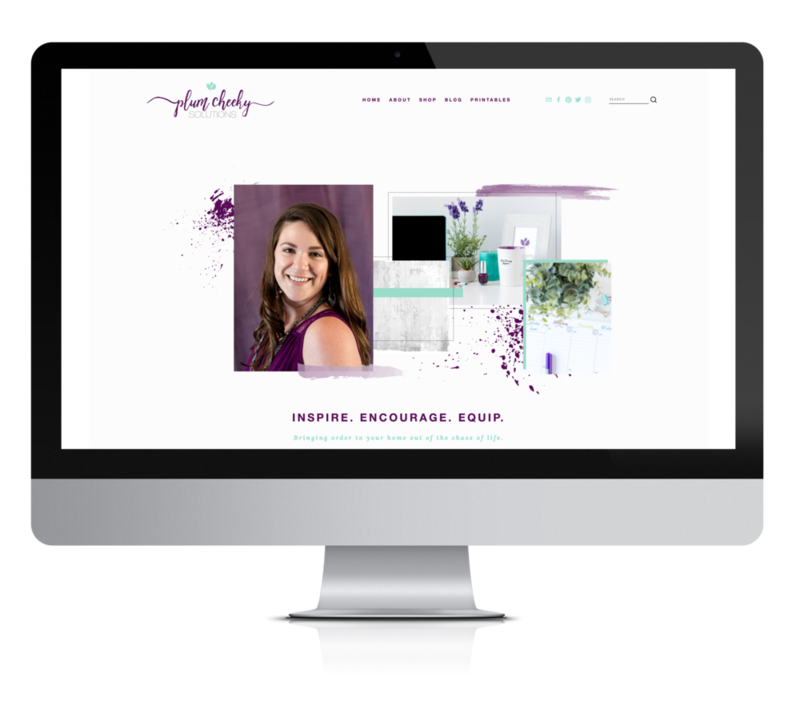 Isn’t it time your website made attracting your dream clients EASY? Isn’t it time your website became a 24/7 employee that takes care of all the heavy lifting FOR YOU? Say it with me, Babe! Book your consultation call today and start your brand transformation now! I’m ready to build the website of my dreams!